Two people were taken to a major trauma centre after a crash involving two cars near Shipston that left one driver trapped for over an hour. 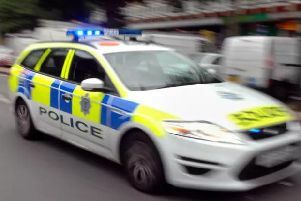 Emergency services, including the air ambulance, were sent to the A3400 between Shipston and Tredington at about 10.50am yesterday (Thursday, July 19). Two drivers were trapped and one of the cars was in a hedge after the suspected head-on collision. Firefighters and ambulance staff worked together to rescue the drivers. The first, a middle aged woman, was able to get out of the vehicle after firefighters removed the door. She was treated for potentially serious injuries and was airlifted to University Hospital Coventry and Warwickshire. It took over an hour to get the driver of the second car out. The man, who was in his 60s, had less serious injuries but was given pain relief and immobilised before being taken to the same hospital by land ambulance.